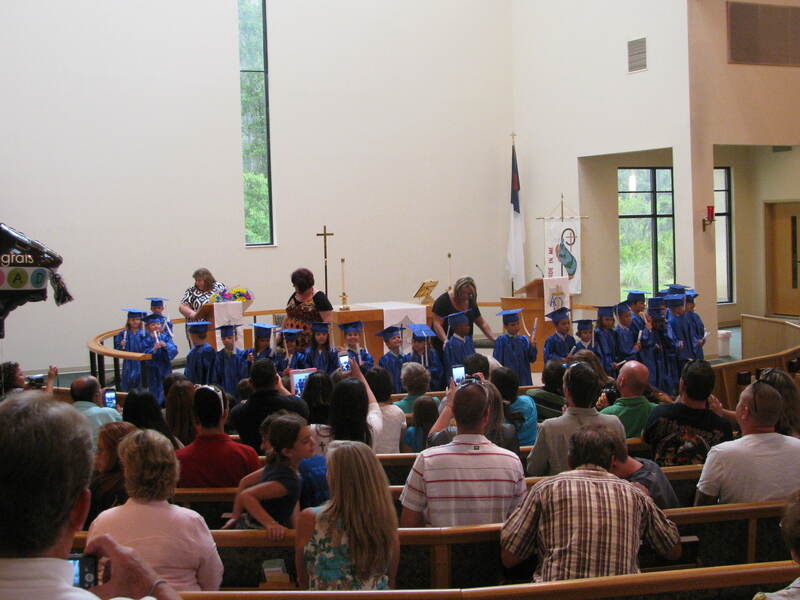 Last Thursday night I attended our Open Arms preschool’s twentieth graduation. A couple dozen pre-K students were sent along to kindergarten with our blessing and thanksgiving for the time we had with them. 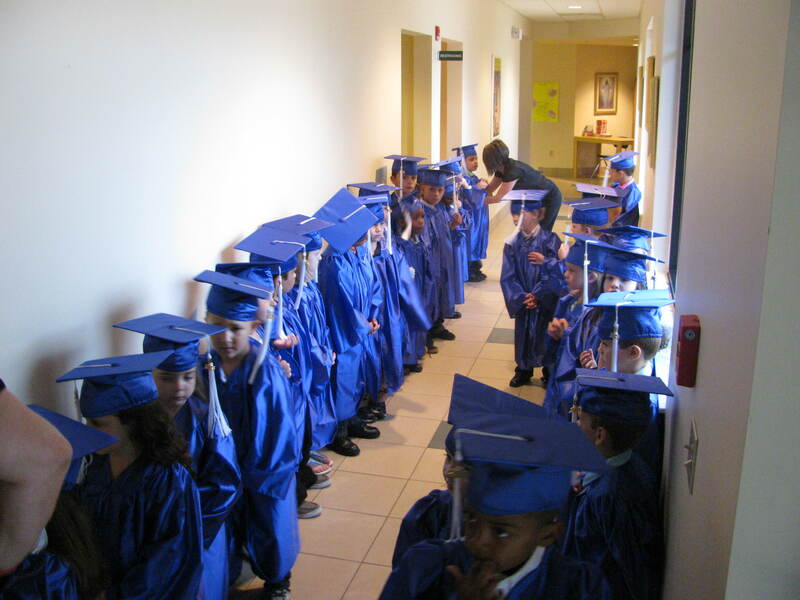 Dressed blue cap and gown, each received their diploma and we announced what they wanted to be when they grew up. There was the usual assortment of public servants I(firefighters and police), doctors and dentists, but my favorite was an aspiring mermaid! I was privileged to lead them in prayer to open the night, and then sing some songs with them that we had learned though the course of the year. 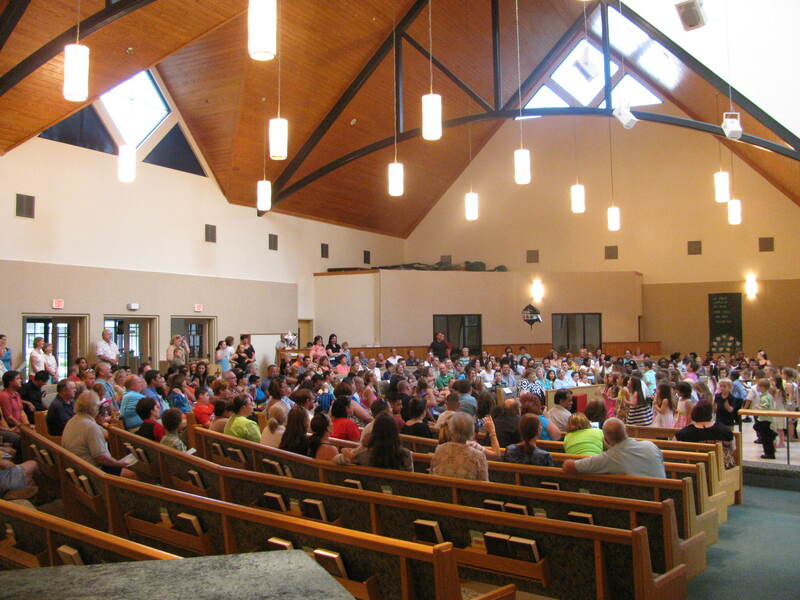 I get to read from the bible, sing and pray with them each Wednesday during the school year and summer program. It is a unique way of reaching into the families of our community, sending these students home to encourage their parents in prayer, worship and mercy. We had no commencement speaker, nor was there a valedictorian, but a great time was had by all. My youngest daughter, who is now graduating high school, graduated from Open Arms thirteen years ago. She ran the sound board for last week’s graduation all by herself. Another grad, Tabitha, is now a teacher at our school. But the anchor of our program have to be Shari and Sarina, who have taught there all twenty years that the school has been a part of our church. In a business where staff comes and goes, it’s rare and a blessing to have that kind of consistency and commitment. That’s graduation number two. Number three in just a few days! This entry was posted in Ministry and tagged Open Arms, preschool graduation. Bookmark the permalink.